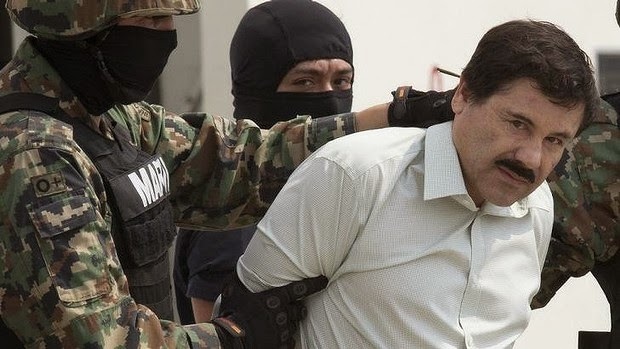 RETRO KIMMER'S BLOG: MAJOR DRUG KING PIN SHORTY GUZMAN FINALLY RE-CAPTURED! MAJOR DRUG KING PIN SHORTY GUZMAN FINALLY RE-CAPTURED! 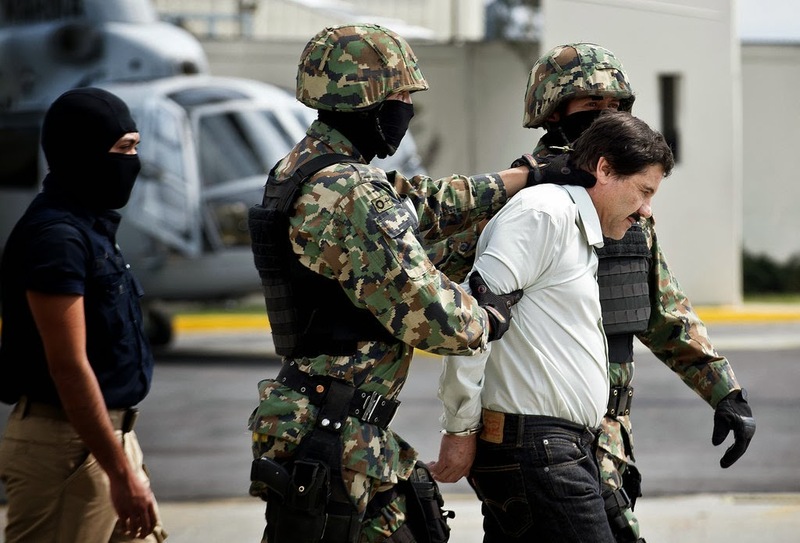 Mexican Marines took Guzman in front of cameras in Mexico City before loading him in a helicopter headed for prison. The drug lord was caught at his high rise condo during a raid. Authorities say he was found in his bed with an AK-47 nearby, but the raid happened so quickly, Guzman didn’t have a chance to grab his gun.